The anger problem is not a problem with anger. 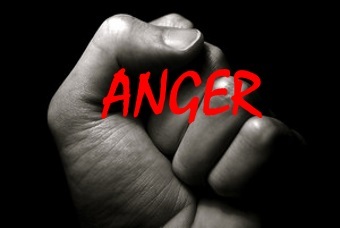 Anger is just an emotion--it's what you do with it that is the problem. You probably never learned that anger is healthy, and that it's just as natural as your joy, sorrow and love. Anger is just one of the emotions, and when you learn how to understand it, heal it and express it in healthy ways, it's not a problem at all! You might say the problem with anger is people, not anger itself. Be the exception to that rule, and learn about healthy anger and what to do with it! This is actually very positive news. It means that you don't have to be at war with this natural emotion that is part of your total human experience. We just haven't grown up enough as human beings. That's my conclusion after sixty-plus years of living and over 40 years of professional work as a counselor. You were born with strong emotional needs for love, guidance and support. You didn't get exactly what you needed, so you felt some pain and sorrow. Then you developed some fears around those ways that you got hurt. You needed some protection for the world that hurt and scared you, so you very naturally developed anger as a protective emotion. Your parents did not handle your anger well, thinking it was just bad behavior, so you never learned how to express it in healthy ways to protect yourself and become your own best anger management resource. Your anger got punished, and you learned to stuff it. Then this led to depression and passive aggressive behavior and other types of relationship problems. Your anger got punished, but you didn't stuff it--it just got bigger! 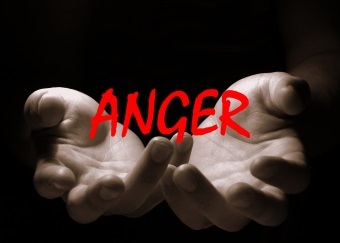 So you developed serious anger problems, and have a lot of trouble controlling anger today. Your parents and others were afraid of your anger, so you got what you wanted by getting angry. This creates huge problems with anger, because it sends the wrong message that anger is an effective way of manipulating your environment. You had one or more very angry parents, and you simply followed their example. You were abused, and your anger is coming from that. This doesn't justify destructive behavior, but it surely helps to explain where your anger came from and how it got to be a problem. 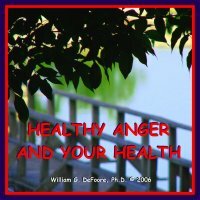 So, now it's time to heal your anger problem, and learn to develop healthy anger that you express in healthy ways. Check out the CD program/audiobook below, which you can preview right now, and buy with a full guarantee!